Have you thought about opening your own dispensary? Do you know what you need to obtain a license to take part in California cannabis operations? Read on to learn about all the documentation required to get your California Commercial Cannabis License. How Do I Get My California Commercial Cannabis License? The property boundaries – Areas not being used for cannabis business must be labeled and state what they are being used for. The dimensions of each room and the entire premises. If a portion of the property includes a residence, the diagram must show the designation of the buildings for the premises and the residence. The diagram must display all entrances, exits, Interior partitions, windows, doors, and walls. All shared areas must be included on the diagram, such as lobbies, bathrooms, breakrooms, hallways, etc. Include descriptions of cannabis activity that will be performed in each area of the premises. The following commercial cannabis activities must be included on the diagram if applicable to business operations; loading/unloading of shipments, packaging and labeling, loading for deliveries, storage, extractions, customer sales, cultivation, processing, or batch sampling. Location of all cameras. Be sure to number each camera. Use this form for the diagram. Sole Proprietorship: Fictitious Business Name form filed with local business permit office and tax forms. Corporation: Articles of Incorporation, Statement of Information, Certificates of Stock, and a Statement and Designation by Foreign Professional Corporation (if applicable). Limited Liability Company: Articles of Organization, Operating Agreement, and Membership Certificate. Limited Partnership: Certificate of Limited Partnership, Operating Agreement, Partnership Agreement, and tax forms. General Partnership: Partnership agreement, Statement of Partnership Authority, and tax forms. Limited Liability Partnership: Partnership Agreements, Application to Register as a Limited Liability Partnership. Foreign Corporation: Certificate of Qualification issued by the Secretary of State. You are required to submit a written limited waiver of sovereign immunity to the bureau with any license application or renewal, provided you can assert a defense of sovereign immunity. This written waiver needs to state that every state law, rule, and regulation regarding commercial cannabis activity will be followed. You will need to have proof that you have the lawful authority to become part of the waiver and the waiver needs to be signed and dated by the authorized person. A copy of the applicant’s license, permit, or other authorization from the local jurisdiction if your local jurisdiction has adopted an ordinance, rule, or regulation pursuant to Business and Professions Code section 26055(h) that requires discretionary review and approval of permits, licenses, or other authorizations to engage in commercial cannabis activity. A copy of the Notice of Determination or Notice of Exemption and a copy of the CEQA document. If you do not want to submit a copy of the license, permit, or other authorization provided by your local jurisdiction or if your jurisdiction has not adopted a rule, ordinance, or regulation pursuant to Business and Professions Code Section 26055(h) that needs discretionary review and approval of permits, licenses, or other authorization to engage in commercial cannabis activity, you are allowed to submit reference to where it can be found electronically. If you do not have the evidence listed above, or if your local jurisdiction did not prepare a CEQA document, you are responsible for the preparation of an environmental document in compliance with CEQA that can be certified or approved by the Bureau, unless the Bureau specifies otherwise. Do you have more than 20 employees? If yes, you will need to attest that they are a part of a labor peace agreement and will follow the terms. If you have not yet begun a labor peace agreement, you will need to submit a statement that has been notarized indicating you will enter into a labor peace agreement and follow the terms of the labor peace agreement as soon as reasonably practicable after licensure. You must submit a list with every loan, investment, gift, and funds associated with your cannabis business. The Financial Information Form can be found here. You will need a surety bond in the amount of $5,000. This bond protects the State of California of costs in the event of a violation of the licensing occurs, causing the necessary destruction of all cannabis and cannabis goods. DO NOT WORRY! You will not need to pay $5,000 for your bond. Most California Commercial Cannabis bonds cost around $100. You must describe all your procedures for transportation, inventory, security, quality control, and waste management of the cannabis. For you to be eligible for priority licensing, you need to submit a signed document from your local jurisdiction that contains your name, address of the premises you wish to be licensed, type of license, name of the office of your local jurisdiction that is responsible for enforcing the compliance with the Compassionate Use Act, name and contact information for the person authorized to sign by the local jurisdiction on its behalf. This document also need to include this statement: "The abovenamed party is currently conducting commercial cannabis activity in the jurisdiction and has been operating in compliance with the Compassionate Use Act of 1996 before September 1, 2016". You can watch this video if you need assistance with applying and submitting documentation for a California Commercial Cannabis License. What is a Commercial Cannabis Licensee Bond? A Commercial Cannabis Licensee Bond is a specific surety bond one required for those whom seek to be a cannabis retailer. 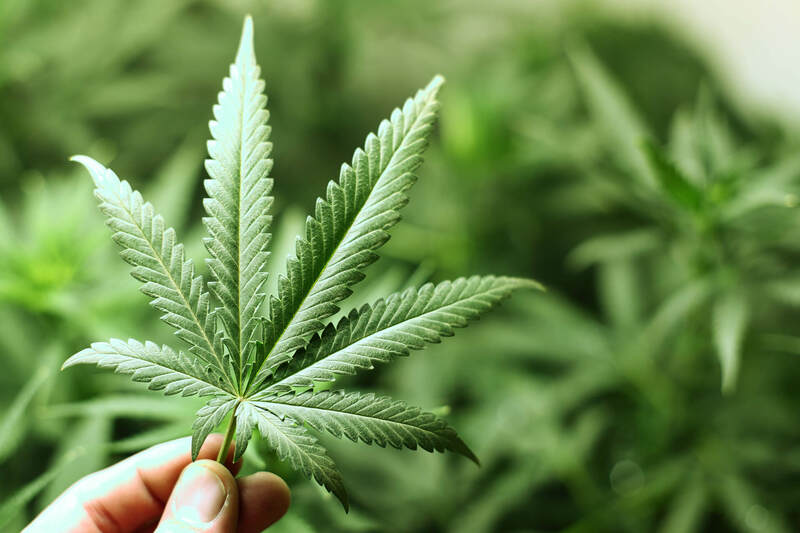 The surety bond is necessary to pay for the eradication of cannabis and cannabis goods if essential due to an infraction of the licensing requirements. One must have a Commercial Cannabis Licensee Bond prior to selling and delivering cannabis and cannabis products to consumers. Does the Commercial Cannabis Licensee Bond Protect Me? There is a common misconception that a surety bond protects the business owner. This is incorrect, as the bond protects the state of California. If an infraction is made by the bond holder and the state deems it necessary to destroy the business’ cannabis and cannabis goods, this bond covers the cost. The destruction of the cannabis is an expensive process involving special equipment. The surety company pays the state for the cost of the destruction and the responsibility of repaying the surety lies on you. You can learn about the process of having a claim made against your bond, here. What Other California Marijuana Licenses May I Need? There are California Cannabis Licenses required for different types of activities. If you are in need of a surety bond to get your California Commercial Cannabis License or any other California Cannabis Licenses, contact your insurance provider for assistance.